My first Glastonbury exhibition was a great way for me to showcase my art in the town. I’d love to exhibit again but for now, all my time is taken up with drum painting for clients. Hopefully one day. 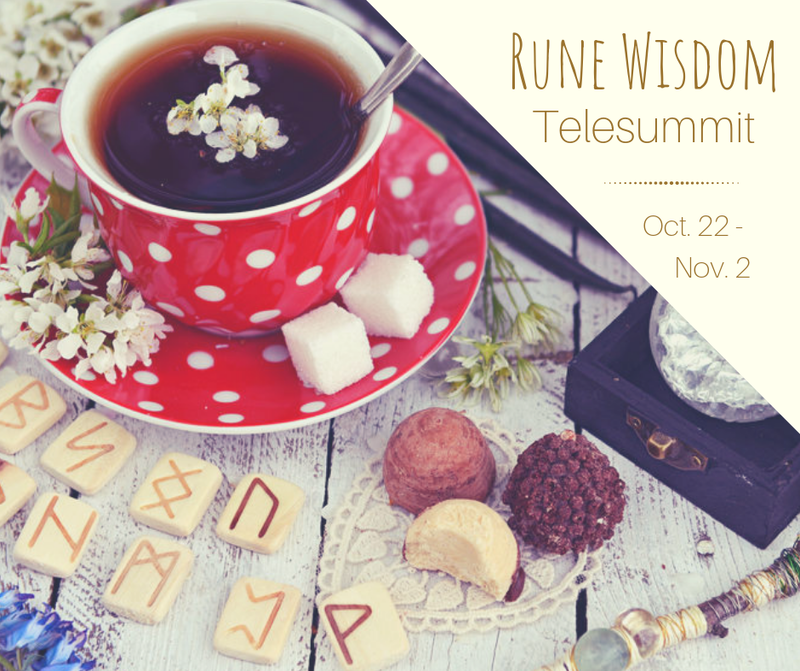 In October 2018, I was pleased to be a speaker on The Rune Wisdom Telesummit. This was a FREE multi-speaker event that aimed to show you how to partner with the primordial energies of the Runes to energize your life and align with your own soul purpose. The event ran from October 22 through to November 2, with two one-hour calls every weekday. My talk was on crafting the runes and I was really pleased with the response and feedback from it. It is my intention to develop more teachings based on the runes and Northern Tradition shamanism and run courses both in person and online.